I will admit that I do give gift cards or money to couples that have just been married, but I also like to give some sort of physical gift as well -- in the past I have given brass knick-knacks that I spray painted, and glass plates that I decorated with Mod-Podge and glitter. 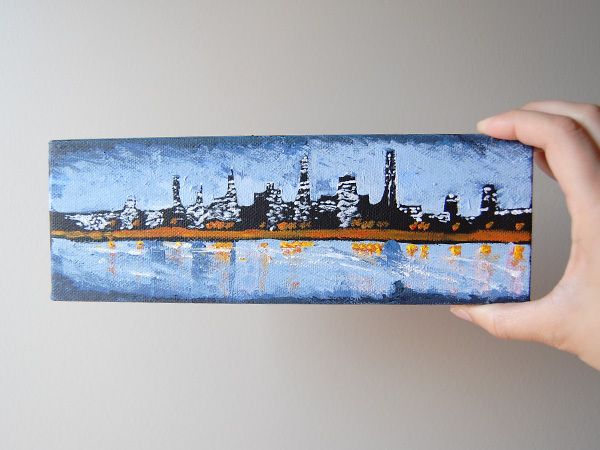 This time I decided to do a small painting of a city that the couple visited on one of their first major traveling adventures together -- Montreal. Have you done any DIY wedding gifts lately?